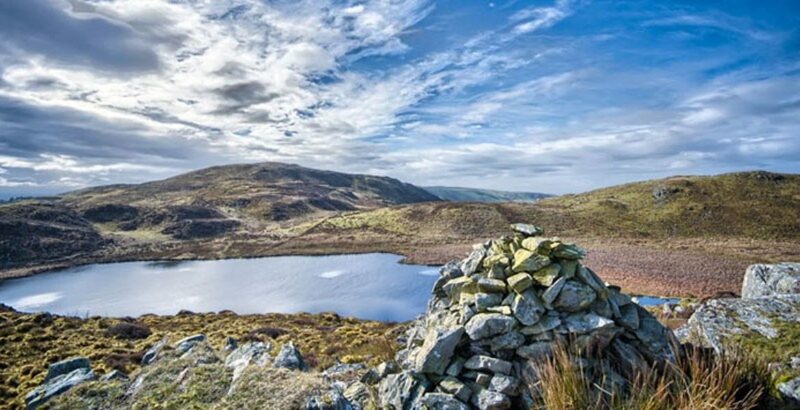 The mountain overlooking the southern end of Llyn Dinas in Snowdonia is said to be the original home of the Welsh red dragon. In the story by Nennius (b. 769 AD), King Vortigern tried to build a castle at Dinas Emrys, but the walls kept mysteriously falling down overnight. The boy wizard Merlin eventually discovered why: two dragons, one red and one white, were fighting in a pool beneath the castle (the red dragon won and became the symbol of the fight against the Saxon foe). 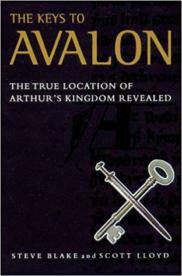 The legend grew, and Merlin became King Arthur’s wise counsellor and court sorcerer. Recent archaeological investigation revealed fortifications from Vortigern’s time which were re-built several times. 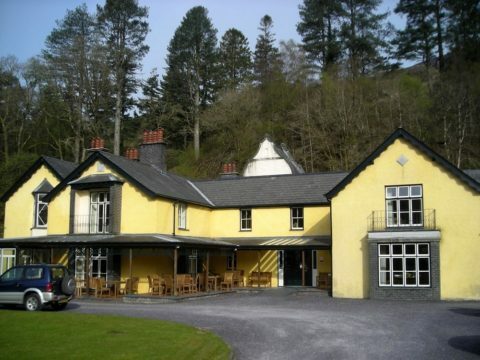 You can walk to Dinas Emrys from The National Trust’s Craflwyn Farm. 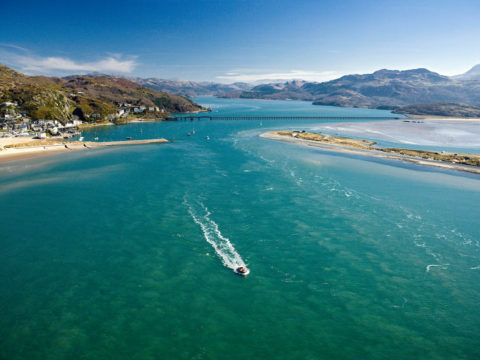 Llyn Barfog (‘Bearded Lake’) - so-called from the rushes fringing its shores - was one of the legendary homes of Afanc, the water demon which plagued the people of Aberdyfi. The beast would kill anyone who came too close to the lake, occasionally causing floods by thrashing its tail, and pillaging the local farmland. King Arthur received an appeal to help, and dragged the Afanc from the lake using a magical chain tied to his horse Llamrai. 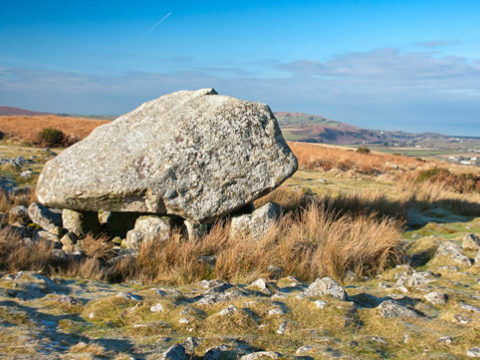 In the struggle on the foreshore, Llamrai left a hoof-print on the rocks, which is still visible today and known locally as Carn March Arthur ('the stone of Arthur’s horse’). 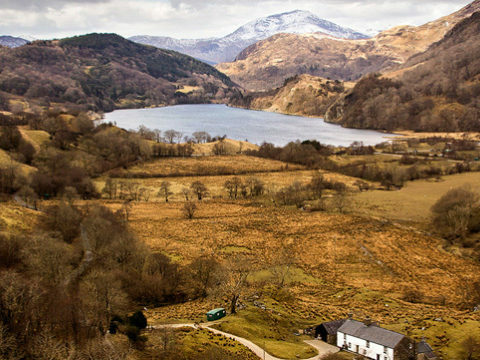 If you fancy exploring local Arthurian connections further, visit King Arthur's Labyrinth near Corris. 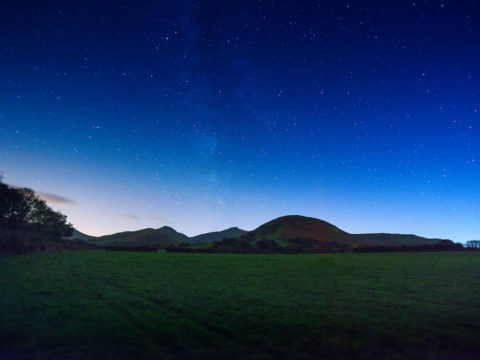 Steve Blake and Scott Lloyd claim Halkyn Mountain is the location of the mystical island of Avalon in their recent book The Keys to Avalon, which argues the case for north east Wales as King Arthur’s homeland. 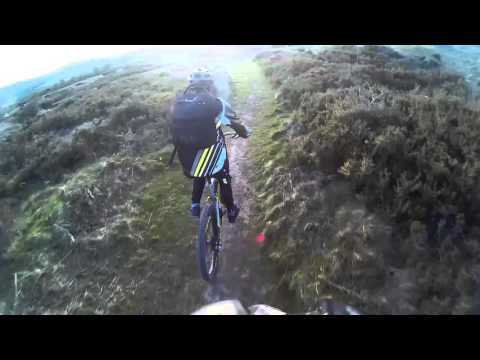 Explore the wild, open landscape of Halkyn Mountain which has reverted back to nature after two centuries of lead and stone quarrying. 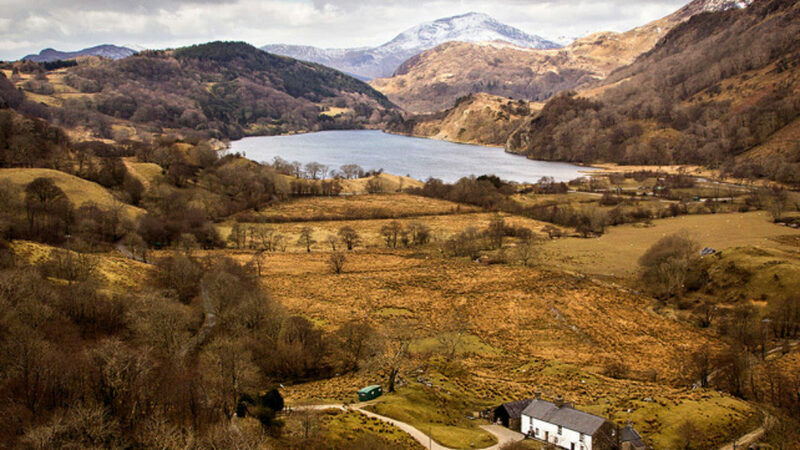 Wildflowers and circling buzzards won’t distract you from the views across this special stretch of Arthur’s world. 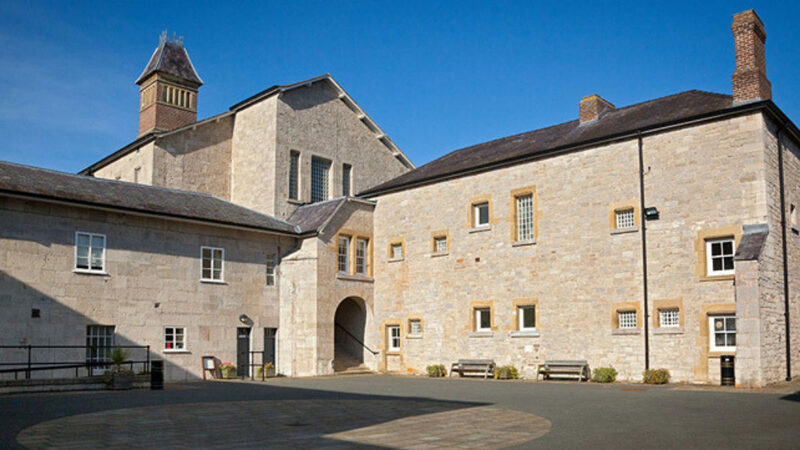 Bangor University now holds Flintshire County Library's collection of more than 2,000 items about King Arthur, which can be looked at by appointment. Wales has plenty of chapels which are quirky, tiny, or remote. 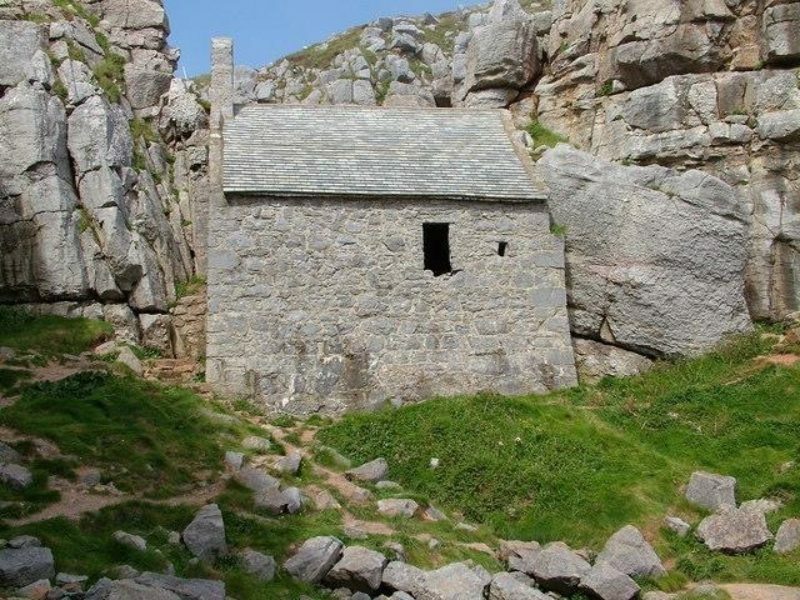 The 13th century St Govan’s, wedged into a gap in the Pembrokeshire cliffs, is all three. 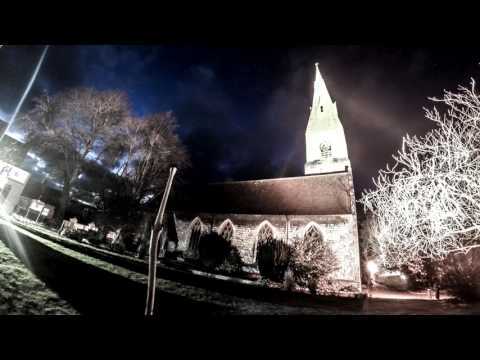 Founded in the 6th century, St Govan may well have been Sir Gawain, King Arthur's nephew and a knight of the Round Table who retired here as a hermit after the death of Arthur. 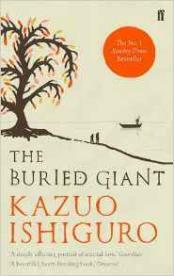 His life inspired numerous works including the 14th century narrative poem Sir Gawain and the Green Knight and Kazuo Ishiguro's The Buried Giant. 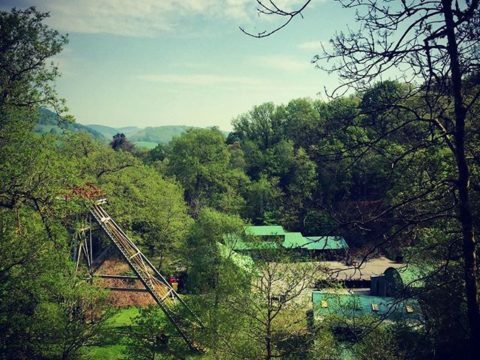 Legend has it that no matter how carefully you count the steps which lead down to it from the footpath above, you’ll never get the same number on the way back up. 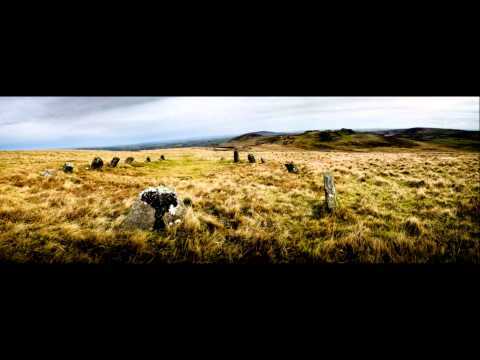 Isolated and enigmatic in the Preseli Hills of Pembrokeshire Coast National Park is the Late Neolithic henge and circle of standing stones known as Bedd Arthur (‘Arthur’s Grave’). 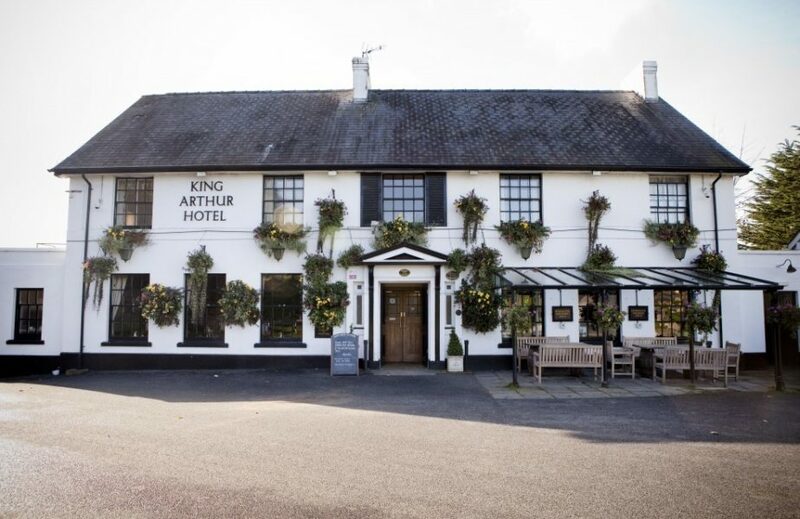 It is claimed by local folklore to be the final resting place of King Arthur. 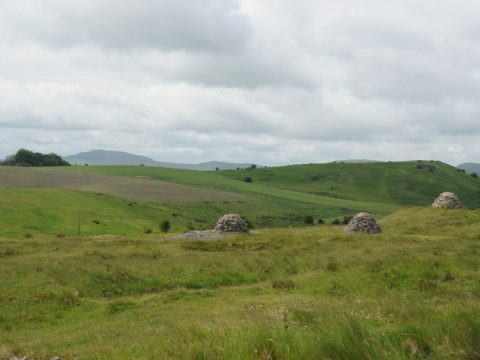 The stone circle is in the vicinity of, and is contemporary with, the source of Stonehenge's bluestones and its name relates to its current shape (a horseshoe) which resembles a grave. 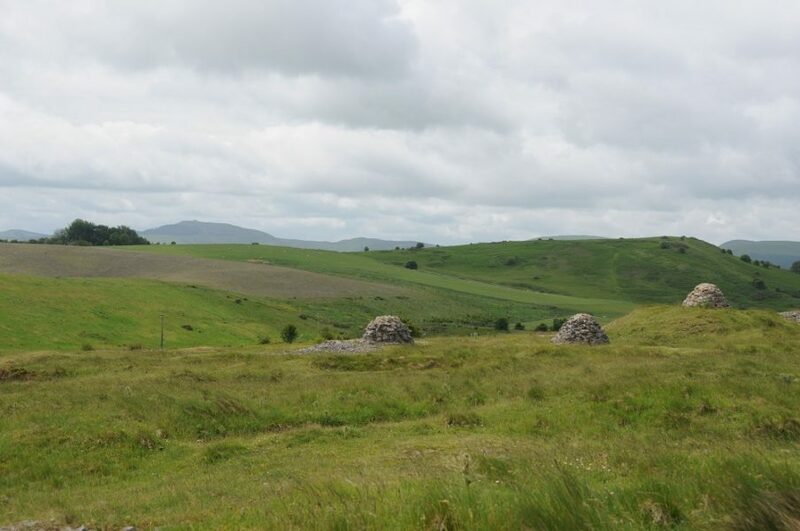 In fact, the site is not a typical stone circle and may have originally been a tomb – the mound having disappeared in the 4800 or so years since it was built. The 1995 film First Knight, starring Sean Connery and Richard Gere, was premiered in Porthmadog. It follows the story of Guinevere’s love for both King Arthur and Lancelot. 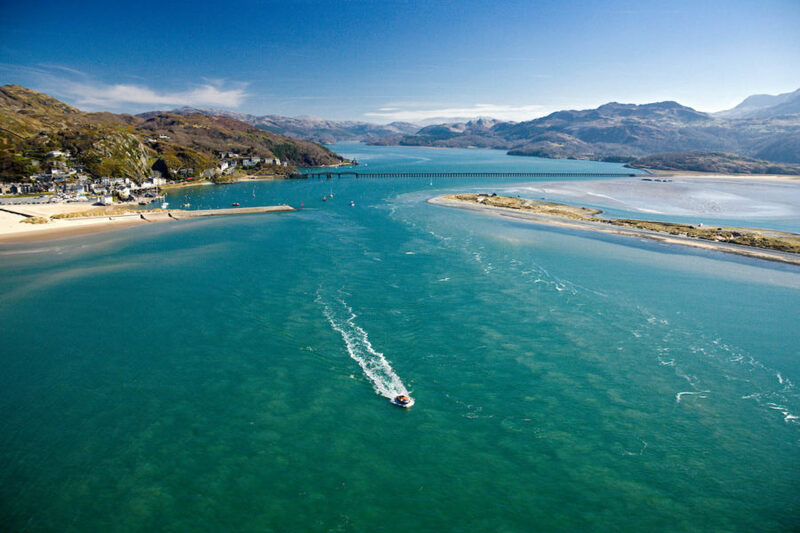 Camelot was built at the edge of Trawsfynydd Lake, and scenes were filmed in the hills around Blaenau Ffestiniog, around the Mawddach estuary, at Black Rock Sands and in Llanfair slate caverns. 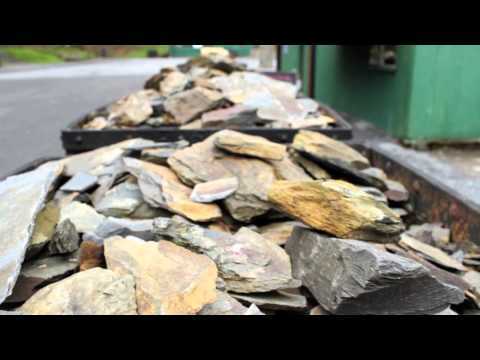 Explore this mystical landscape on the Ffestiniog steam railway which runs from Porthmadog to Blaenau Ffestiniog through Snowdonia National Park. 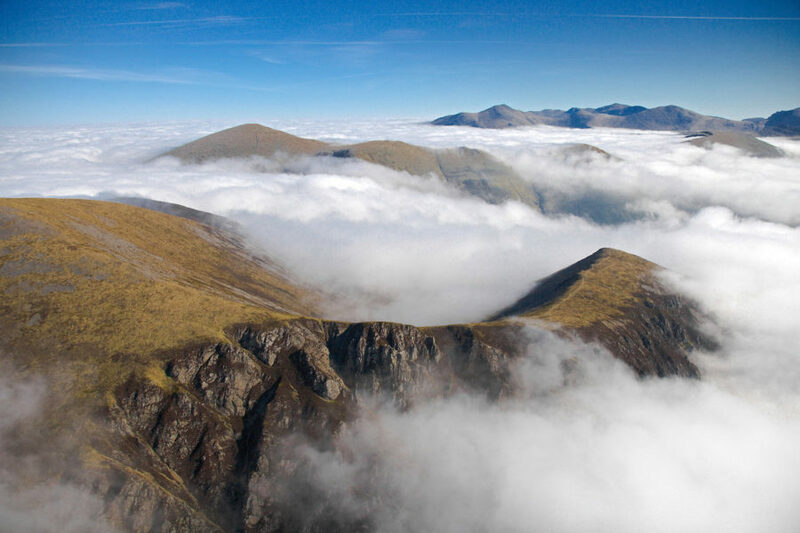 King Arthur has a strong connection with Eryri (Snowdonia). The wells of Cegin Arthur and Ffynnon Arthur, which supposedly have healing properties, bear his name to this day. 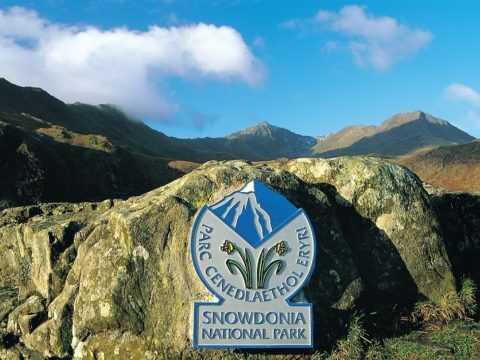 Snowdonia offers some of the finest, as well as the most dangerous, mountaineering routes in Europe. 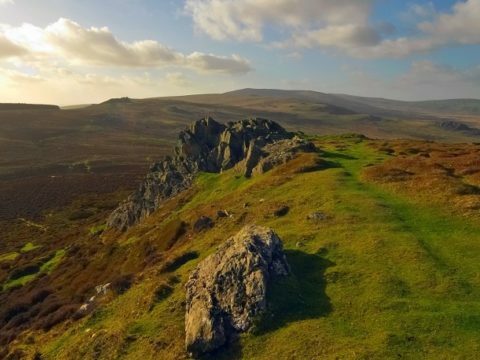 The pile of stones that mark the summit of at the top, known as Yr Wyddfa, is where the fierce giant King Rhitta Gawr fell and was buried. 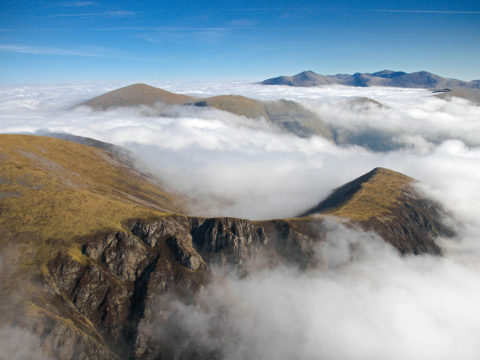 King Arthur reputedly scaled Mount Snowdon to kill Rhitta Gawr – who fashioned clothes out of the beards of his fallen enemies – for betraying him and running off with his mistress. 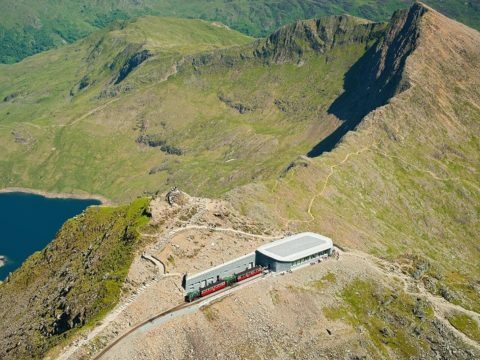 You can travel to the summit on foot on one of six paths – none of which are for the faint hearted – or catch the Snowdon Mountain Railway from Llanberis. 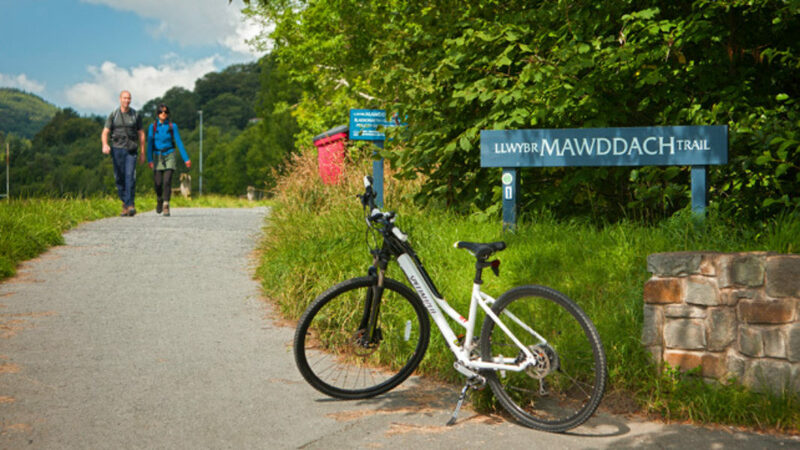 Hafod Eryri, a visitor centre at the summit features “the highest poem in Wales”, by the second National Poet of Wales Gwyn Thomas. 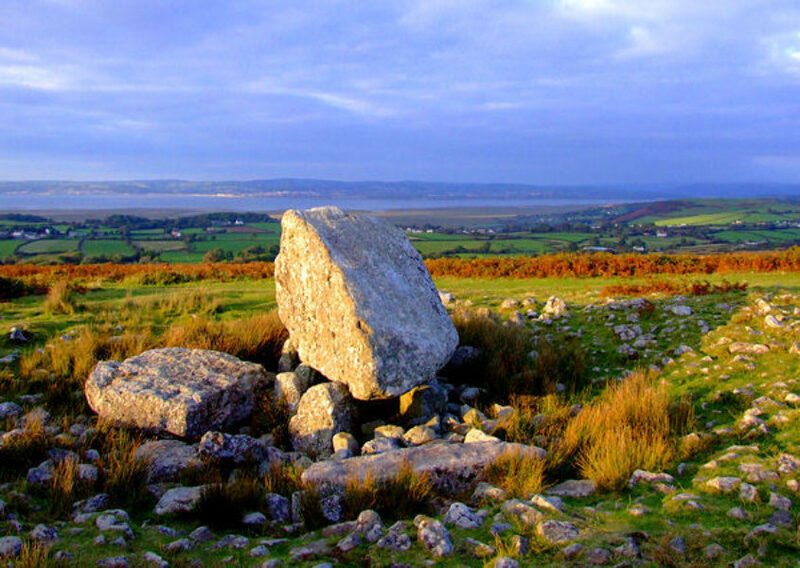 Craig y Ddinas is one of the places that lays claim to King Arthur's resting place. 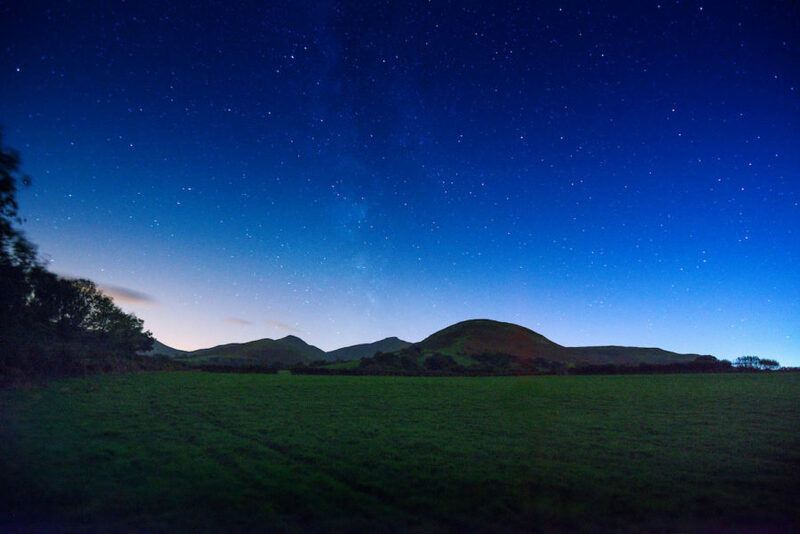 A 45m sheer vertical limestone face topped by an Iron Age hillfort; one legend tells of a subterranean cavern hidden below its base. In it is housed a sleeping King Arthur and his army of thousands who are waiting for the day when they can rise again and retake the island of Britain. They guard a mound of gold and silver, protected by bells which will wake them from their slumber should any would-be thieves enter the cave. 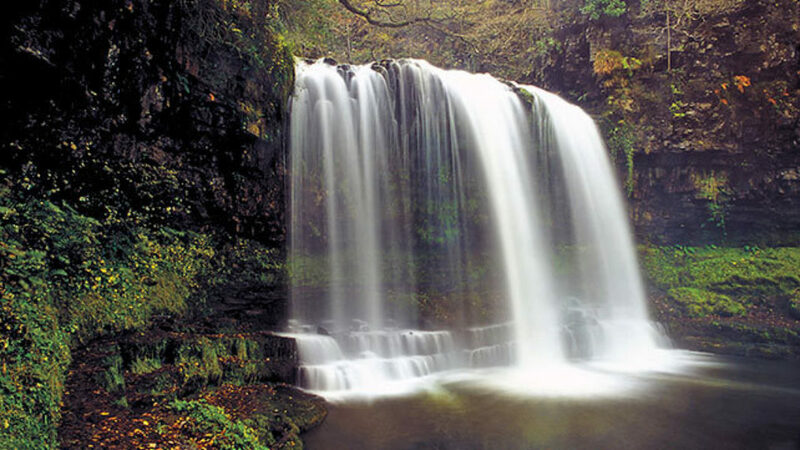 This geological marvel lies at the heart of the Waterfall Country in the Brecon Beacons National Park. 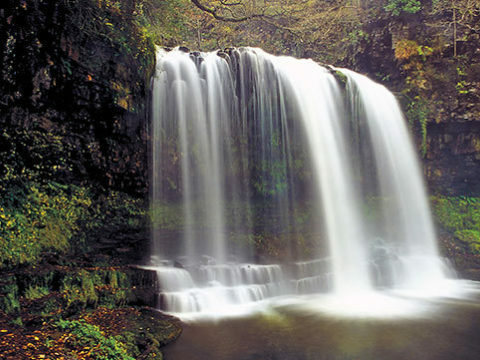 Several walks start from Craig y Ddinas, including one to Sgŵd yr Eira, which evokes scenes of Arthurian romance as you walk on the ledge behind the thundering waterfall. 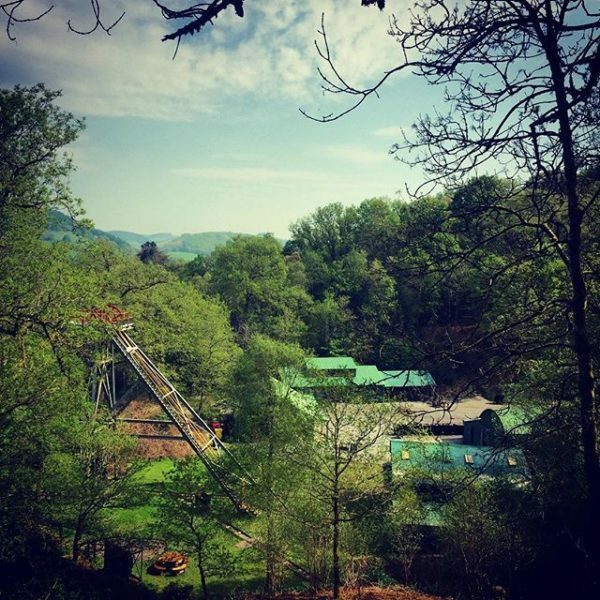 If the scenes of Smaug the dragon with his enormous hoard of gold in JRR Tolkien’s (1892-1973) The Hobbit made you curious about how Welsh gold was mined, you’ll be gripped by the underground guided tour of Dolaucothi. 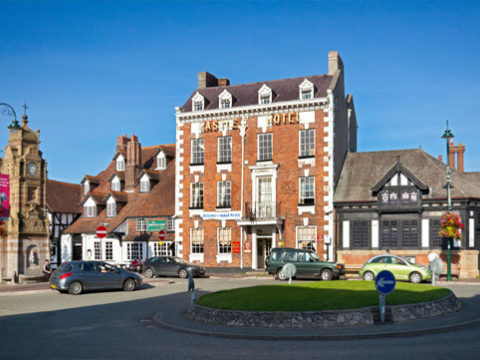 Gold was extracted here from Roman times until 1938, the year after the book was published. 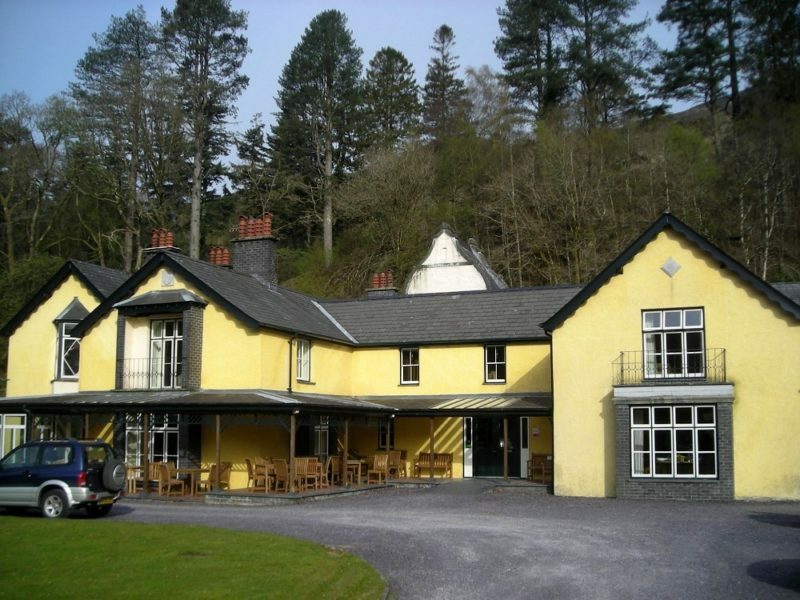 After your visit, treat yourself to a pint of Double Dragon, a Carmarthenshire brew, in the nearby Dolaucothi Arms. 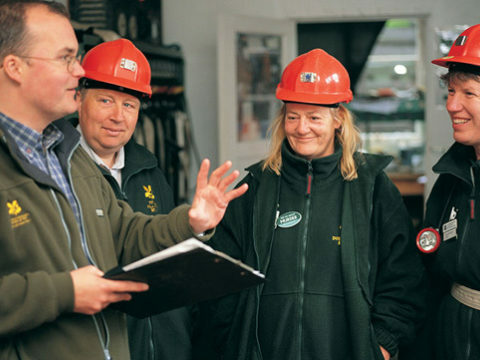 Dolaucothi Gold Mines is run by the National Trust. 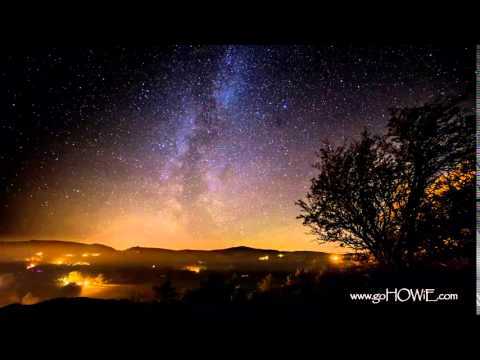 Merlin frequently appears in early Celtic literature as a mystical wild man of the woods, but it was cleric and writer Geoffrey of Monmouth (c. 1100-1155) who characterised him as King Arthur’s wizardly sidekick. 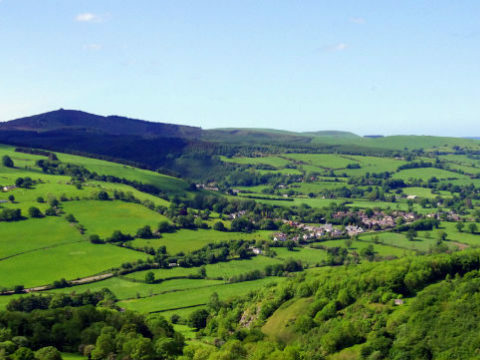 Merlin is strongly associated with Carmarthen: the town’s Welsh name is Caerfyrddin (‘Merlin’s Fort’) and he may have been born in a cave nearby - perhaps at Bryn Myrddin ('Merlin's Hill'). The 13th century Black Book of Carmarthen includes earlier poems featuring Arthur, and Merlin as a clairvoyant. 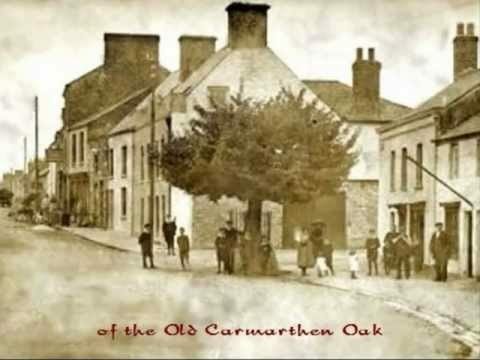 A well-known Carmarthen belief refers to an old oak which used to grow in the town: "When Merlin's Oak shall tumble down, then shall fall Carmarthen town". When the rotten remnants of the gnarled old tree were finally removed in 1978, Carmarthen suffered its worst floods in living memory. 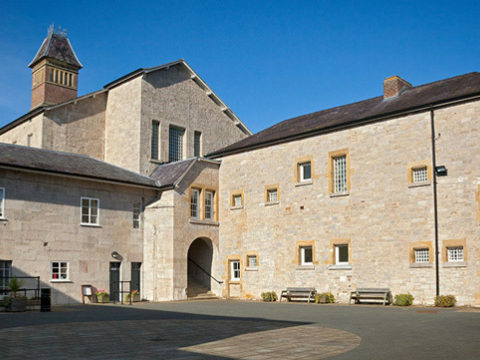 A branch can still be seen in Carmarthenshire County Museum. 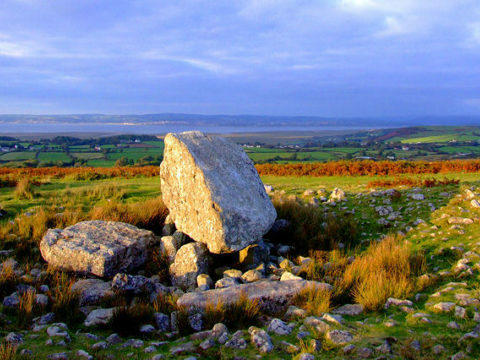 A great hotel and pub within handy walking distance of Arthur's Stone: an Early Neolithic tomb on the Cefn Bryn ridgeway which runs through pristine Gower. 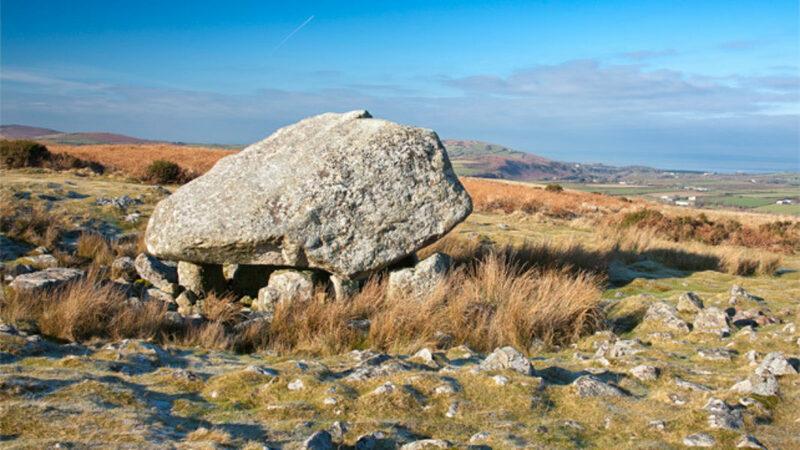 Legend says the tomb is made from a pebble from King Arthur's boot which magically grew in size when he threw it from Carmarthenshire. 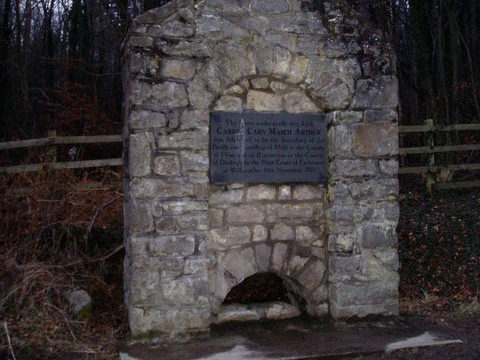 The stone is reputedly thirsty, and occasionally gets up and goes to a nearby stream for a drink. There are rumours that Dylan Thomas (1914-1953) enacted a séance here after a performance with the local amateur dramatics society. 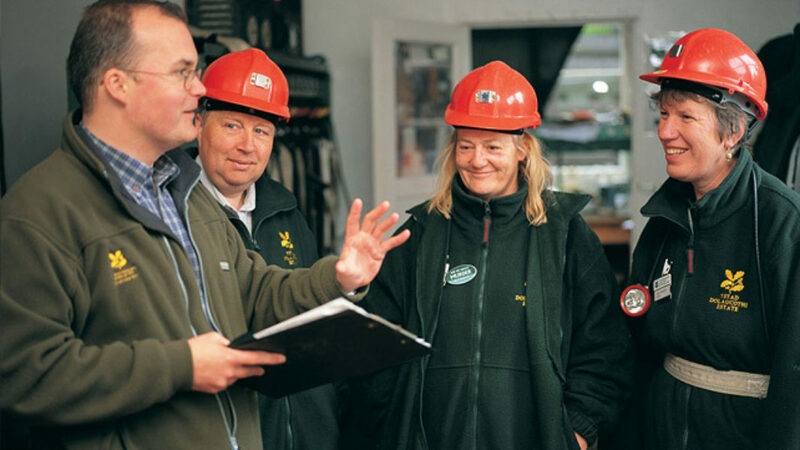 Whilst in the area, Perriswood Archery & Falconry Centre and Gower Heritage Centre are well worth a visit. 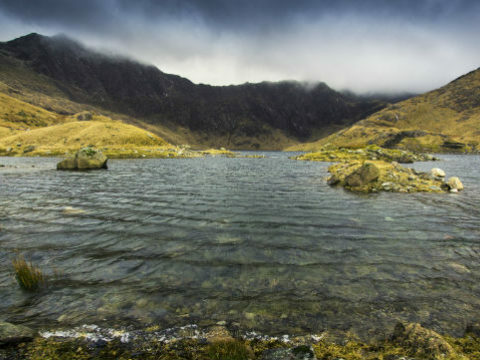 There are at least three Welsh lakes that claim to contain King Arthur’s magical sword, Excalibur. 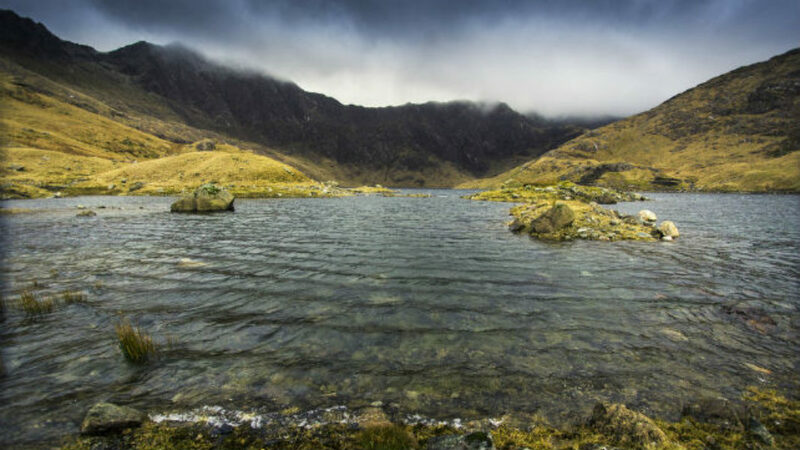 The lakes of Llydaw, Dinas and Ogwen are equally beautiful, and they’re all close together in the heart of the Snowdonia National Park. 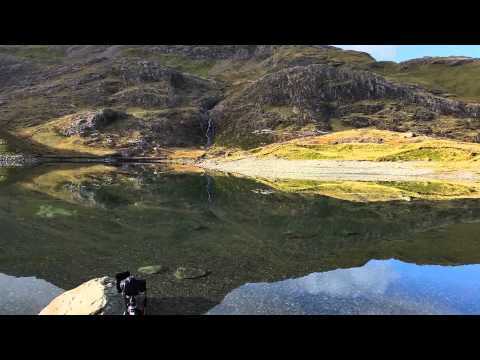 Sir Bedivere may well have climbed to the remote and wild Llyn Llydaw, across which Arthur sailed on his way to the Isle of Avalon. 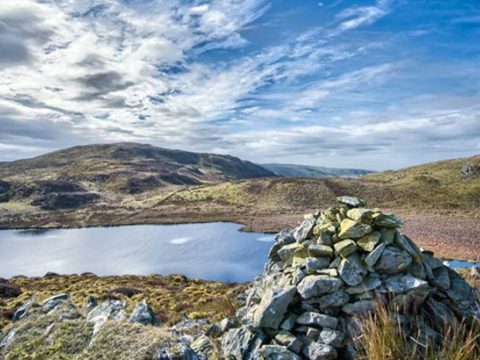 It’s possible to walk some or all of Snowdonia National Park Authority’s Miner’s Track, with fantastic views of the lake. 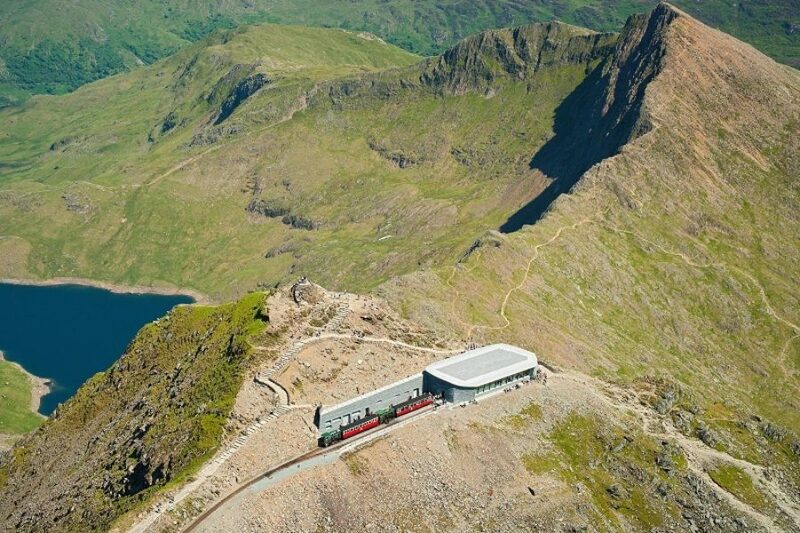 The steep path climbs Snowdon from Pen-y-Pass Car Park. 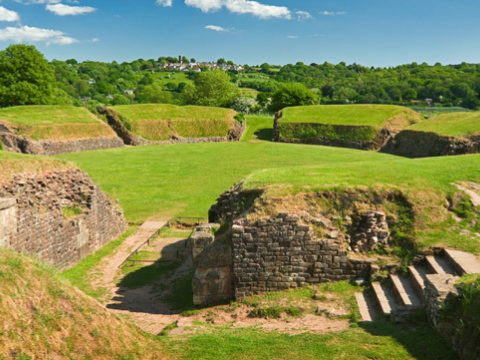 According to Geoffrey of Monmouth (c. 1100-1155) in his Historia Regum Britanniæ (‘History of the Kings of Britain’), Caerleon is the location of Camelot, the legendary court of King Arthur. 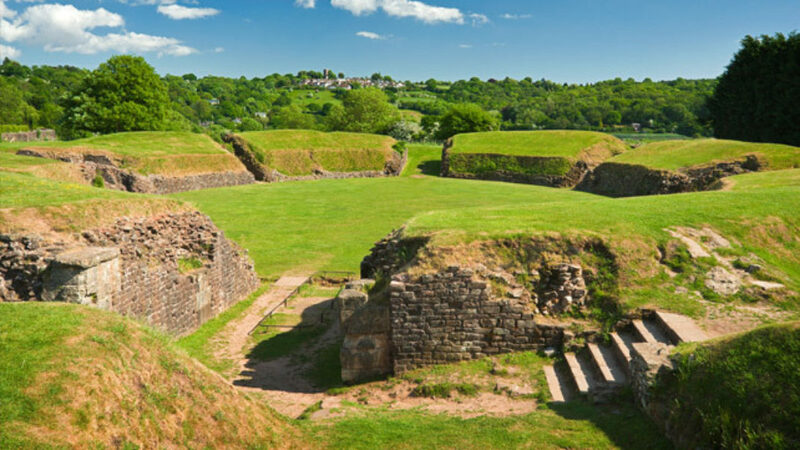 The major Roman fortress with Britain’s most complete amphitheatre, bathhouse and barracks, all run by Cadw, provides the visitor with a vivid picture of life in Roman Britain. 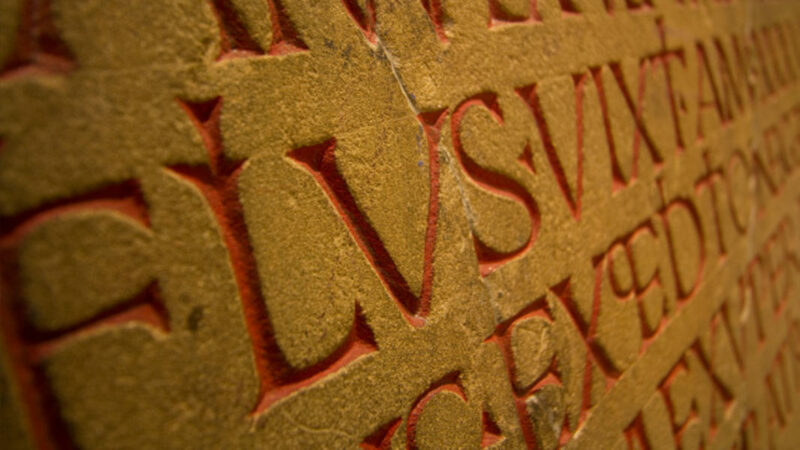 Nearby is the National Roman Legion Museum where you can discover what life was like almost 2000 years ago. 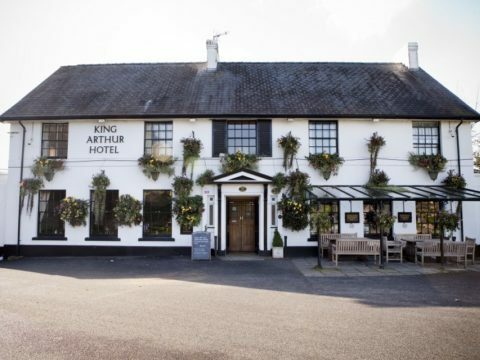 Poet Lord Alfred Tennyson stayed at the Hanbury Arms in Caerleon when he was writing Idylls of the King in 1856. 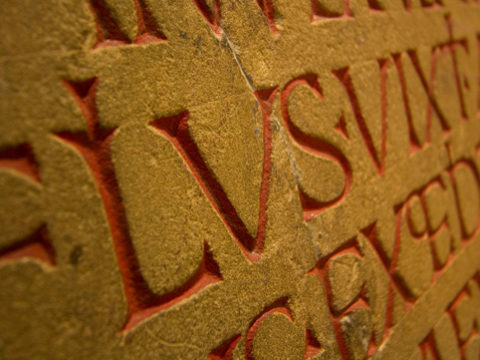 This epic poem tells the legend of King Arthur, his knights, his love for Guinevere and her tragic betrayal. 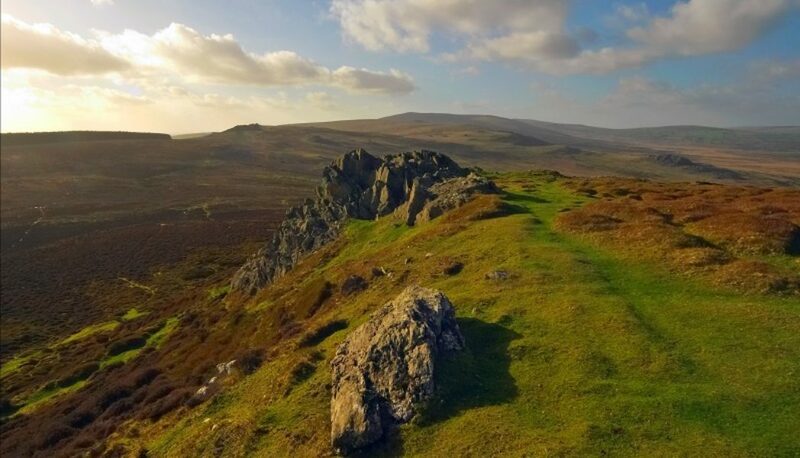 The second of two Arthurian locations in the Clwydian Mountain Range: Carreg Carn March Arthur (the ‘Stone of Arthur's Horse’s Hoof’). Possibly originally a Bronze Age standing stone and boundary marker, this slab has been laid flat and a distinctive arch built over it. 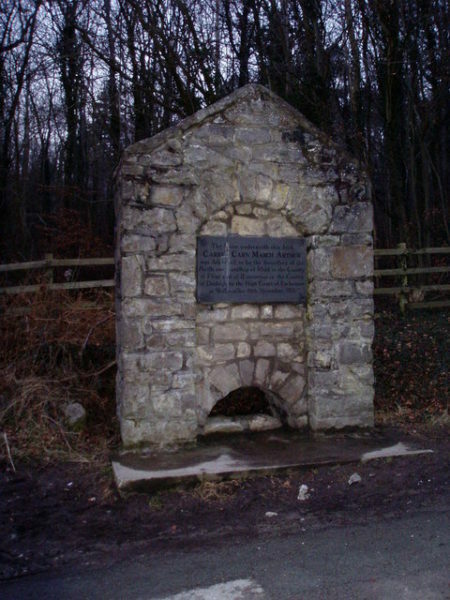 A mounted plaque reads "The stone underneath this Arch Carreg Carn March Arthur was adjudged to be the boundary of the Parish and Lordship of Mold in the county of Flint and of Llanverres in the County of Denbigh by the High Court of Exchequer at Westminster 10th November 1763". A hoof-print shape is visible on the stone, and local legend states that it was left here by King Arthur’s horse Llamrai as they leapt from a nearby cliff to escape the invading Saxons. 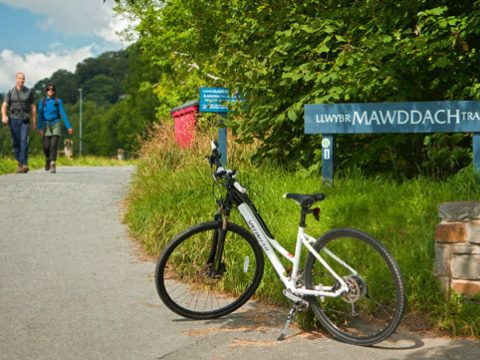 The stone lies adjacent to a footpath which leads to the Loggerheads Country Park. 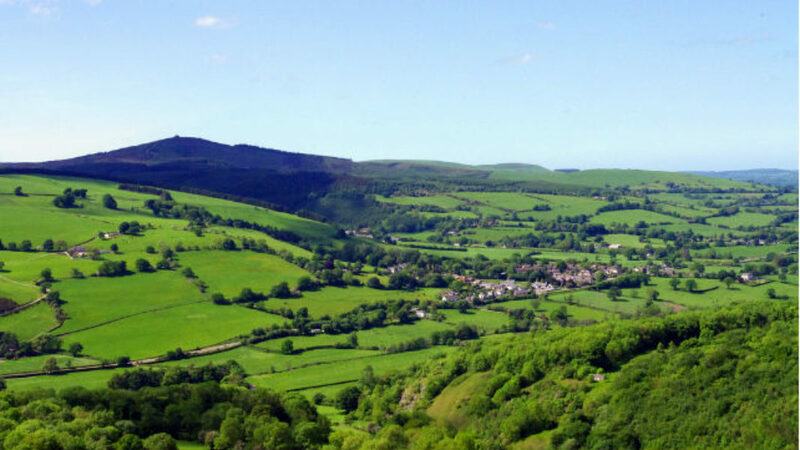 The first of two Clwydian Mountain Range Arthurian locations: the Maen Huail is a limestone block in Ruthin’s town centre. 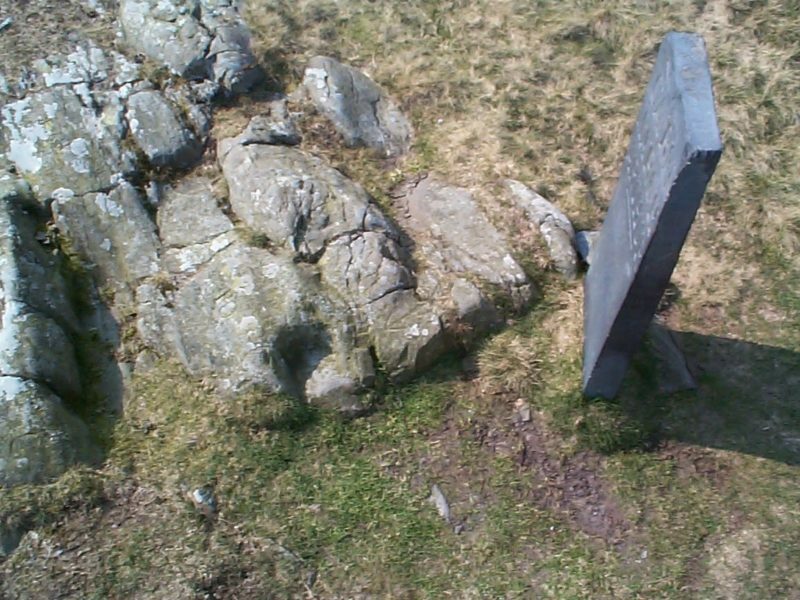 Elis Gruffydd (1490-1552) recorded it as the very stone on which King Arthur beheaded the young warrior Huail, who made the fatal error of raiding his lands, stealing his mistress, and mocking him for a slight limp which Huail himself had inflicted. 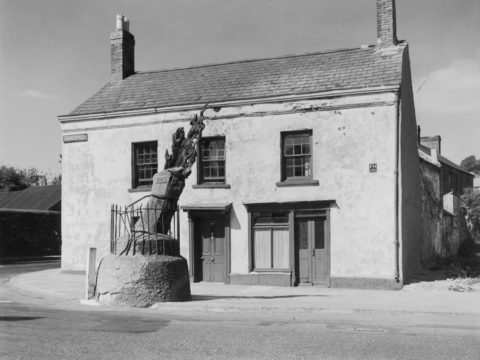 It was probably used as a civic or preaching stone, originally positioned in the middle of the street to mark the point where a charter permitted trade. 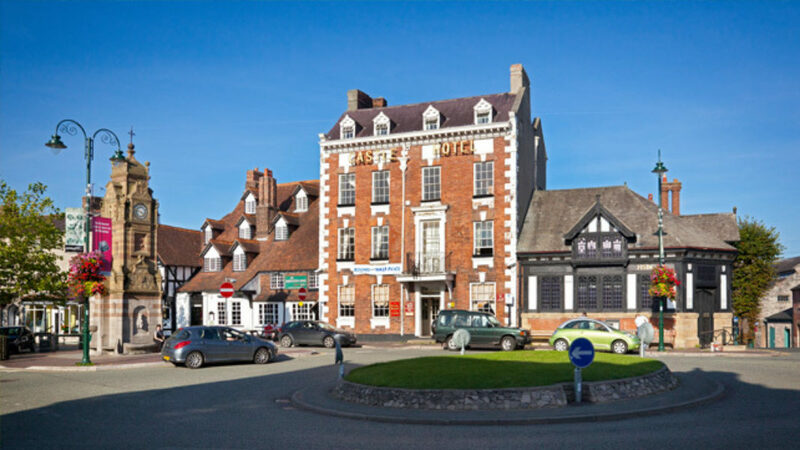 Ruthin is a pretty market town with a Victorian jail and an excellent craft centre.